1. 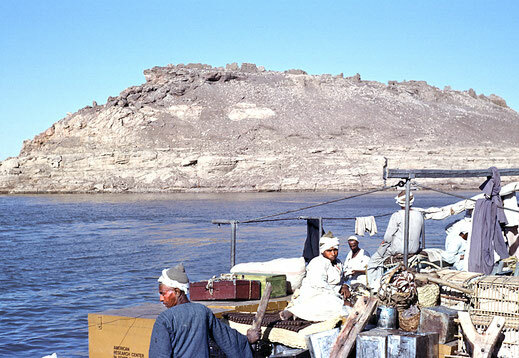 First season 1963: Location west between the base of Citadel hill and the present shore of the Nile. 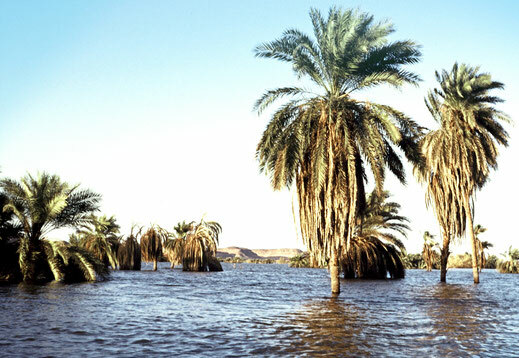 The intact Shaduf and the irrigation chanell indicates that they were still in use until the waters of the Aswan High Dam flooded the fertile soil. 2. 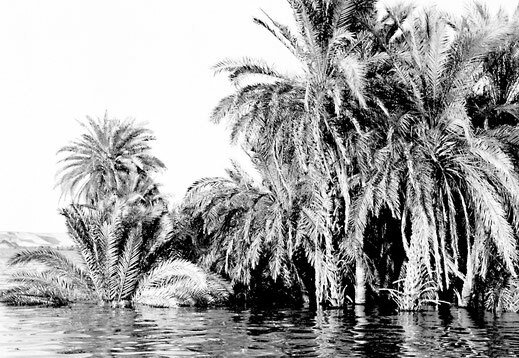 First Season 1963: From the south of our concession towards the Wadi el-Ur in the north, the shore of the Nile still showed a few patches of Alfalfa gras, before the river slowly covered the shore. Background with village of Ballana. 1. 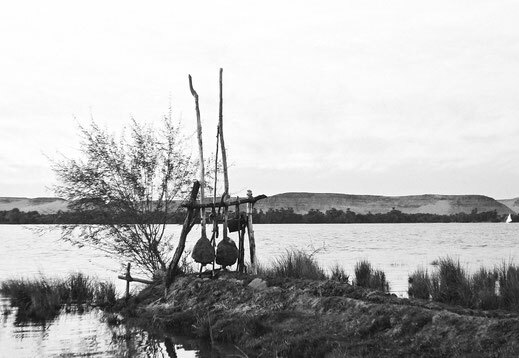 Spring 1963. 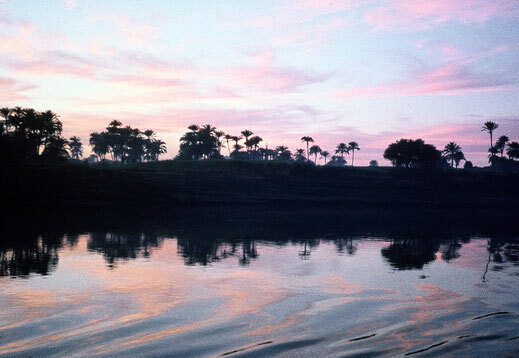 Island between Gebel Adda and Ballana before the flood. 3. Telephone connection between Aswan and Wadi Halfa out of order. 5. End of the last season 1966. Leaving for Aswan with the tugboat of the Egyptian Antiquities Department attached to our Dahabiya "Osiris". Background with Citadel. 2. 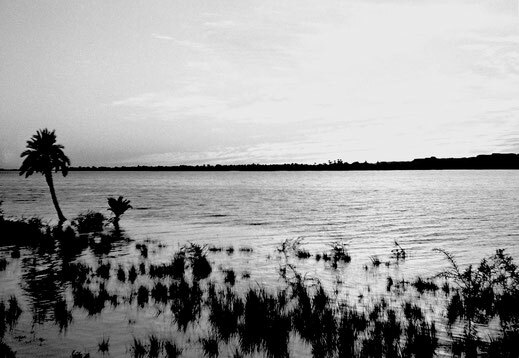 Ballana locking south: Flood level end of 1965. 3. 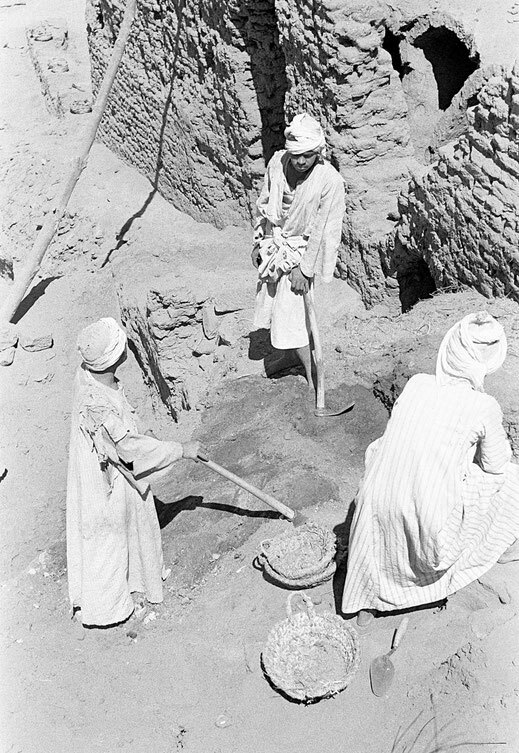 Ra'is Abbady Ahmed Hamid of Quft, supervisor of his workmen. 2. Cleaning the Lane between House 100 and 101. 4. 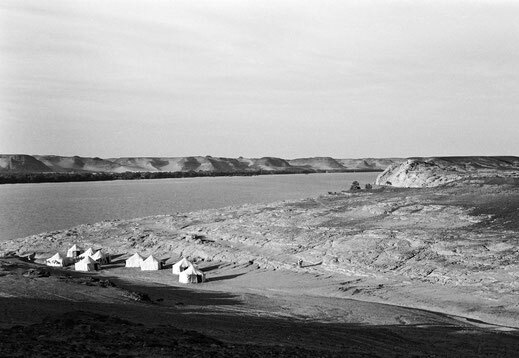 The workmen camp near the shore of the Nile in spring 1963. The tents were set up in a shallow Wadi at the northern side of the Citadel. 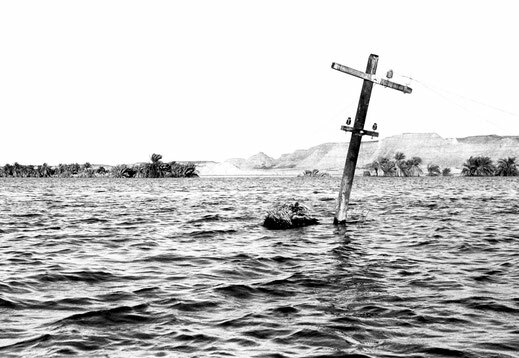 In the following three campaigns and do to the steady rising water level, the workmen camp had to be moved to a higher ground. 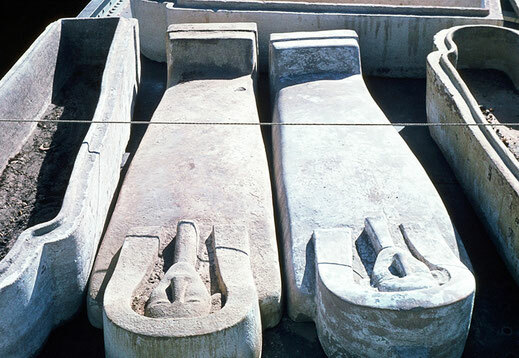 In the background, on the right side of the photograph, it shows the hillock with the rock shrine of Horemheb.